Gallup is a city in McKinley County, New Mexico, United States, with a population of 21,678 as of the 2010 census. Antelope House Ruin and Window Rock Navajo Tribal Park will appeal to history buffs. Appreciate the collections at Western New Mexico Aviation Heritage Museum and Rex Museum. Get out of town with these interesting Gallup side-trips: El Malpais National Conservation Area (in Grants) and Chinle (Canyon del Muerto & Sliding Rock Ruin). 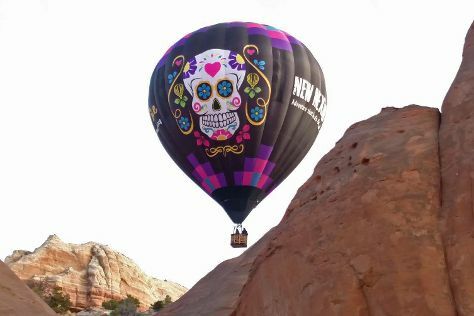 There's much more to do: soar above the sights with X-Treme-Lee Fun Balloon Adventures, examine the collection at Navajo Code Talker Museum, and browse for treasures at Bill Malone Trading Company. For reviews, other places to visit, ratings, and more tourist information, you can read our Gallup tour planner . In September, plan for daily highs up to 80°F, and evening lows to 46°F. Wrap up your sightseeing on the 24th (Mon) early enough to travel back home.